Ar. sasánica, harïsa, harāya, harasa (to mash, derived from Akkadian “harasy”Hisp Ar harāys, Eng. harisa, fumetary, boiled wheat stew simmered until tender and then mashed, meat porridge, gachas or polenta. This has nothing to do with today’s "hareesa," made from mashed chilies and served with couscous. 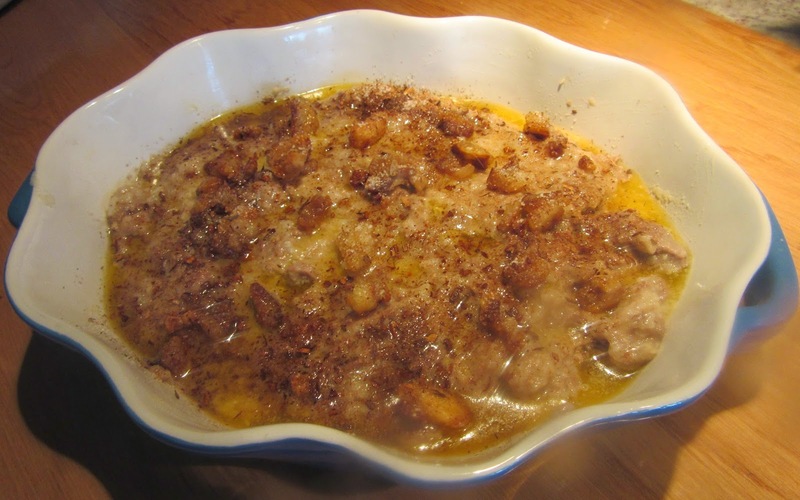 In ancient times, it was a soup consisting of soaked wheat and scrapings, boiled with lamb until the wheat expanded and this was garnished with melted fat, bread and/or a handful of fried breadcrumbs and ground cinnamon. Spanish Christians called it coscotons. Granadines made harisa with fatit, breadcrumbs, damark, semolina bread or samid, grated bread. During wheat famines, beans, chickpeas or other legumes were used. In the 13th C wheat stew with minced meat was very popular. Jews ate harisa made from a Moroccan recipe on the Sabbath using wheat products, ox bones instead of lamb and added a large quantity of water. Scrapings, the forerunners of gachas, could be of bread made with wheat flour or semolina and in times of famine any cereal bread would do. France had its version called coscotons, as per the recipe provided in Ménagier de Paris and in Alfred Franklin’s Le Vie privée d’autrefois, la cuisine that describes a grain soup in the section on dishes and ragouts. In Andalusia, this developed into a pottage of shredded meat (hen or lamb) and included a thickener such as mashed wheat, ground rice, fava beans, nuts or starch with herbs and spices. It is cooked slowly for a long time in a tajine, a clay oven. It may have contained caraway and cumin as today, but certainly not chili. It must be taken into account that harisa from Tunis or North Africa is not at all like that known to the Andalusians today. Modern harisa is made with hot red pepper from America not known to the medieval world. In Ziryab’s day (9th C), gachas were eaten compact in Greek and Persian style in the Cordovan court. The Al-Andalus harisa was like the potas (pottages made in a metal pot with three legs consisting of anything thrown into it like cabbage and fava beans) similar to the old Olla Podrida (meat and vegetable stew). Kitab al-Tabikh (The Book of Dishes), a collection of cookbooks compiled in the 10th C. including the Baghdad Cookery Book, contains two recipes indicating its popularity in Mediterranean Regions. Often it was mentioned in Knights. Specialists made it and sold it with gachas in the suks, where the episodes from Knights were recited in Andalusia as well as the Near East. Made with whole rice, it was very similar to blancmange, see manjar blanco. In Anón Al-Andalus, it is stated that harisa although phlegmatic and heavy is highly nutritious and good for dry and weak bodies as it moistens them. It increases the blood and sperm supplies and recommends the addition of honey, vinegar and cinnamon to help digestion. Watery stews were and continue to be representative of Granadine cuisine. 2. sauce consisting of ground wheat moistened in a meat broth, boiled until completely dissolved. It is not too thick but more like rice soup today. Meat, animal fat and ground cinnamon are the fundamental ingredients. It can be consumed with couscous. Also see aprovechables. The Anón Al-Andalus provides three different recipes for the same. The first calls from red meat, fat and cinnamon. The second consists of rice, lamb or chicken breasts and the third contains lamb, spelt and chickpeas. Wash the rice and put it in a large bowl. Cover with water and soak for a day. Cut meat in ½” strips. Discard fat. Put the rice into a pot. Add the meat. Cover with water. Let cook until the meat falls apart. Stir vigorously until well shredded. Strain the dry ingredients and place them on a platter. Garnish by pouring melted sheep fat or butter over this. Sprinkle with cinnamon and serve. Another method for cooking this dish is to put the pot in the oven. Add a lot of water, cover it and slowly cook overnight. When ready to eat, remove the lid, place the ingredients on a platter. Garnish as above. 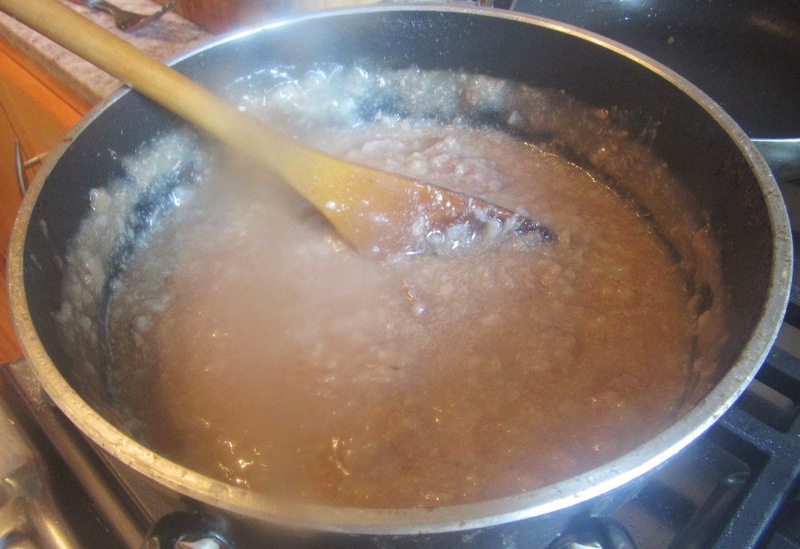 Se lava la cantidad necesaria de arroz y se deja un día en agua que lo cubra, luego se pone en una olla y se le añade lo que le baste de carne de pechugas de gallina o de carne de carnero tierno; se sumerge en agua y cuece, cuando se ha deshecho todo, se rasca muy fuerte hasta que se mezcle y se iguale; se pone en una fuente y se le vierte grasa de carnero fundida y se espolvorea con canela y se sirve. Se hace esta harīsa en el horno, de modo que se cubra con mucha agua y se adapte la tapadera de la olla con una articulación y pase la noche en el horno: luego se saca, se maja y se sirve con grasa de carnero. 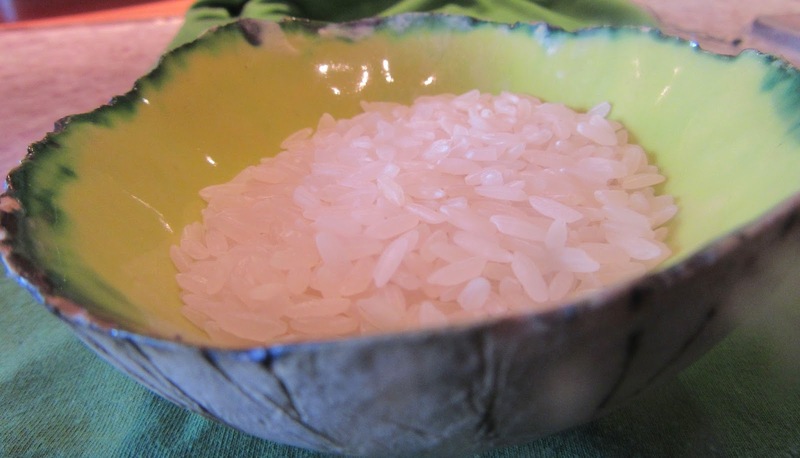 Wash the needed amount of rice and let it sit for a day in enough water to cover it. Then put it in a pot and add what you want of the meat from chicken breasts or fresh mutton; cover it in water and cook it. When it falls apart, stir it vigorously until it is thoroughly mixed up. Put it on a platter and pour on melted fat from a sheep, dust it with cinnamon and use it. You might make this harisa in the oven. For that you cover it with a lot of water and fit the pot cover with a hinge and let it spend the night in the oven. Then take it out, pound it and use it with sheep fat.